Vancouver – Minister Donaldson shared details for implementing the recommendations from the Contractor Sustainability Review including the elimination of the fair market rate test from the Timber Harvesting Contractor and Sub-contractor regulation (referred to by the forestry industry as Bill 13). These details expand on Premier Horgan’s announcement yesterday. The Minister announced the details during his address to a full room of 350 timber harvesting contractors at the Truck Logger Association’s 76th annual Convention & Trade Show. The fair market rate test is a forestry-industry method used to settle rate disputes between contractors and licensees, which have caused lengthy delays in reaching a settlement, contributing to the inability to operate sustainably their businesses. …government’s decision to eliminate the method in favour of models and experts will streamline the process that used to take months and years, which should now take up to a maximum of 14 days. Exporting raw logs remains highly controversial in B.C. because of the forest industry’s economic importance and because most of our vast forests are public property. The policy also perversely undermines the value of our precious forest resources. The often confusing debate usually centres on jobs. …Often forgotten in this debate are the restrictions on exporting logs that our federal and provincial governments now have in place. …The second important feature is that provincial export permits require recipients to pay a hefty tax on the timber they export. …Restrictions constrain the demand for our logs, depress their domestic market price and hence also the quantity produced. So the direct beneficiaries are the local buyers. …But, for the same reason, those involved in producing logs suffer from the reduced production and value of their product. …stumpage revenues are reduced accordingly, shifting the ultimate burden of log export restrictions onto us, the hapless taxpayers. As a result of the final phase of the logging contractor sustainability review, the ministry will amend the Timber Harvesting Contract and Subcontract Regulation to make forest-sector contractors and licensees more sustainable and competitive in the long term. Amending the regulation is the recommendation of former provincial premier Dan Miller, who facilitated the last phase of the review. “This review was done to make sure logging contractors’ paycheques accurately reflect the work they do and their cost of doing business, while also keeping licensees competitive.” said Doug Donaldson, Minister of Forests, Lands, Natural Resource Operations and Rural Development. 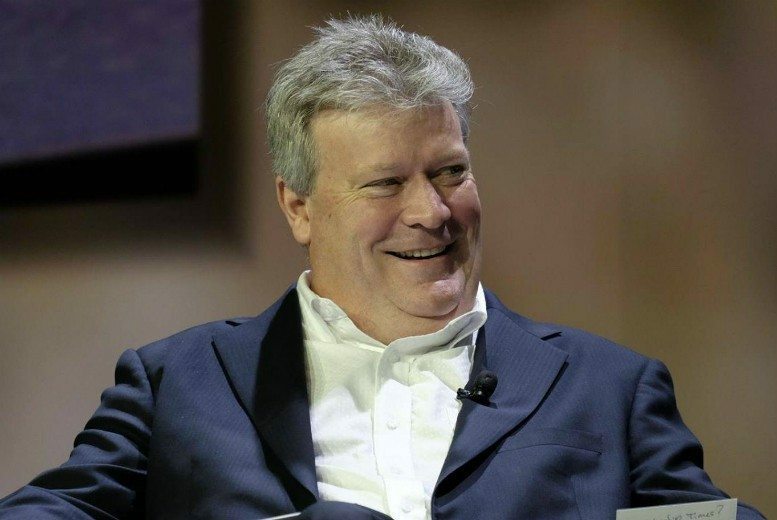 …“As allowable annual cut levels decline and forest-sector economics shift, it is ever more critical that contractors and licensees – being codependent in the B.C. forest sector – find ways to work together to improve competitiveness,” said Miller. A lawsuit involving a logging contractor, a major forestry company, two public sector pension funds, former forests minister Rich Coleman and the Hells Angels is scheduled to get underway in Nanaimo this week. At its core, the suit filed in the BC Supreme Court alleges that the defendants — TimberWest, two associated companies and three senior TimberWest officials including former CEO Paul McElligott — deliberately drove Ted LeRoy Trucking (TLT), a major contractor for TimberWest, into bankruptcy. “The Plaintiffs’ claims are based in conspiracy and fraud,” a Dec. 31 court filing says. “Specifically, the Plaintiffs assert that the Defendants engaged in a pre-orchestrated plan to drive TLT into bankruptcy. …In 2007 Ted LeRoy Trucking employed about 530 people, had assets worth more than $80 million and revenues of about $70 million a year. While 320 hectares of land near Enterprise, N.W.T. remains covered in snow, the CEO of a proposed multimillion-dollar wood pellet plant is growing increasingly frustrated by the most recent delay in a series of setbacks preventing the company from beginning construction. 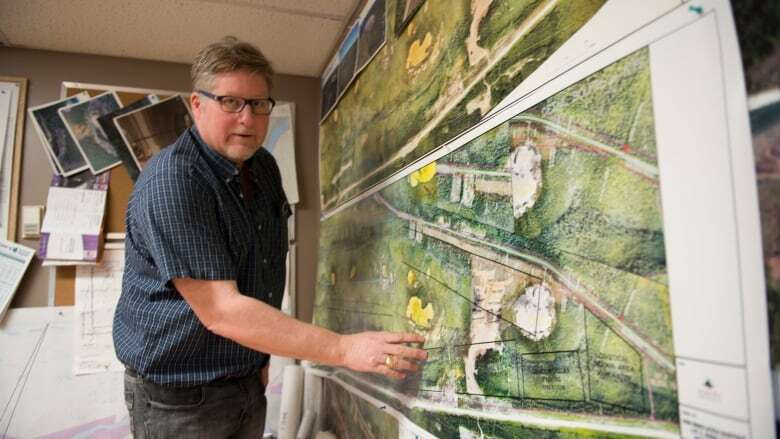 Hay River businessman and former mayor Brad Mapes is at odds with the Hamlet of Enterprise over a development permit which would allow him to break ground. Mapes wants to get the permit this winter so his company can clear trees before the summer months. He said that he won’t do the work in the summer, citing a need to protect nesting birds and wildlife. “We can’t clear the trees in the summertime,” he said. Without receiving a permit in the short term, the construction of the plant will get pushed back another year. 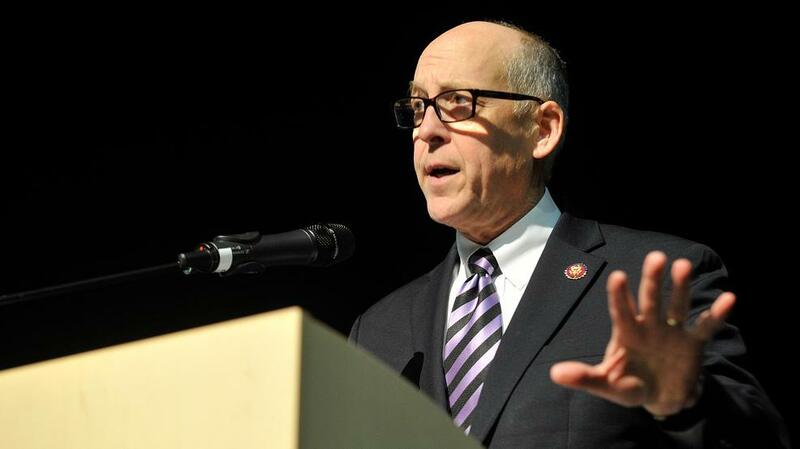 U.S. Rep. Greg Walden on Friday blasted the federal response to wildfires that have devastated the Southern Oregon economy, jeopardized local health and prompted an outcry from residents over what they believe is a “let-it-burn” philosophy.“I don’t know if there’s a policy like that, but I hear it enough,” Walden said to about 400 people at a town hall. “They’ve got to get on them quicker.” Walden endorsed the Oregon Department of Forestry’s record for quick fire response. He noted that although an equal number of Oregon fires in 2017 started on federal and state land, 95 percent of the total acreage burned was on federal land. He said he’s had talks with federal forest officials about adopting similar policies to Oregon’s. Federal officials also spend more effort putting out fires and less effort thinning forests, which would reduce the wildfire danger in the summer, Walden said. Pennsylvania — A complex, noisy network of blades and belts turned logs into dowels before a crowd of excited onlookers Saturday. …About 25 people attended the tour of the Ames sawmill in Donegal Township, organized by the Westmoreland Woodlands Improvement Association . Many members… own forests and wood farms. …It started in early 1989 as an effort to educate landowners about sustainable forestry, and give them a way to meet others with similar interests. The mill is a perfect illustration of how the wood business has changed over the years, Cannin said. Some of its equipment is about 100 years old and still going strong, while some is state-of-the-art machinery run by computers. The sawmill was owned by Babcock Lumber until 2014, when Ames took it over. It employs about 42 people. TORONTO — Six years ago Vancouver architect Michael Green took the stage at a TED conference and called for a global era of wood-framed skyscrapers. Some were skeptical. “People really thought I was an idiot,” said Green in a recent interview. …tall wood buildings have defied skeptics and are sprouting up in cities across Canada as the wood industry sees opportunity, developers embrace new designs and momentum builds to reduce the heavy carbon footprint of concrete and steel in construction as the urgency of the battle to combat climate change grows. “For me it all comes back to the carbon story. It all comes back to choosing renewables to build our cities,” said Green, principal at Michael Green Architecture. ……rules could change next year to allow 12-storey towers in the 2020 update of the national building code… Builders are exploring the possibilities of mass timber and looking at how tall their ambitions will reach. When it came time for Acton Ostry Architects to select a manufacturer for the mass timber components of the 18-story Brock Commons Tallwood House at the University of British Columbia in Vancouver, Canada, Structurlam stood out. “Experience, qualifications, supply, schedule, cost” all worked to Structurlam’s benefit, according to Russell Acton, principal at Acton Ostry. Acton explained that along with supplying mass wood structural components, Structurlam provided end-to-end oversight and support by “[collaborating] with the structural engineer, construction manager, and mass wood erector to refine the design and optimize cost, quality, and constructibility considerations for the mass wood components.” As a result of Structurlam’s comprehensive approach, the hybrid concrete-and-mass-timber structure building was erected in record time: just 66 days. 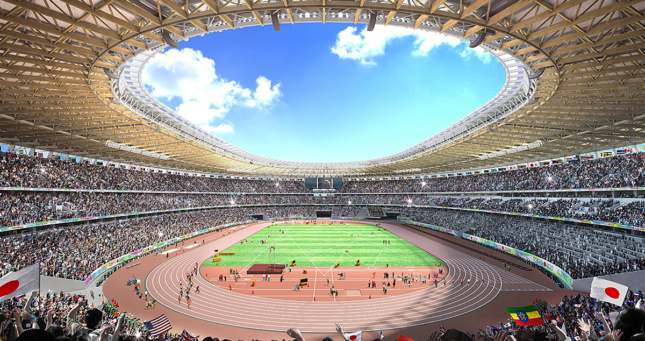 Kengo Kuma’s $1.4 billion National Stadium is over 25 percent complete and should open in November 2019 for six months of testing before the Tokyo 2020Summer Olympics kickoff. …Kuma has pledged that the stadium will source over 70,000 cubic feet of larch and cedar wood from nearly all of Japan’s 47 prefectures, with an emphasis on areas hit hardest by the 2011 earthquake and tsunami. The steel roof over the ovoid stadium will be supported by a lattice of exposed timber beams and joists. …It’s not all smooth sailing …as the U.S.-based Rainforest Action Network has accused the group of sourcing endangered tropical timber from Malaysia and Indonesia to build the 2020 stadiums. A Tokyo 2020 spokesman has denied the claims, but the commission is working to further tighten up its sourcing standards regardless. 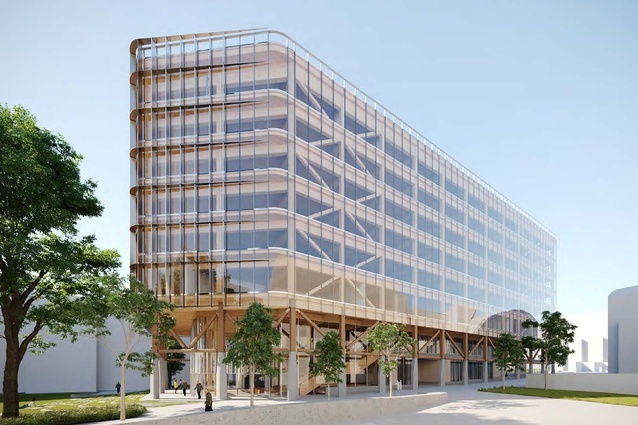 Tzannes and Lendlease have designed a multi-purpose building constructed from cross laminated timber (CLT) for the UNSW’s main campus in the Sydney suburb of Kensington. UNSW D14 Building by Tzannes and Lendlease. Image: Tzannes, Lendlease. The collaboration is the latest in a string of large engineered timber buildings Tzannes has designed for developer Lendlease, including International House Sydney in Barangaroo, the Australia’s first engineered timber commercial building and winner of the National Award for Commercial Architecture at the 2018 National Architecture Awards, as well as a planned adjacent “sister” building. The seven-storey D14 Academic Building will replace the existing UNSW Hall Building, built in 1959. …In a design report produced as part of the application, the architects said the premise of the design was to celebrate “timber as the hero through simplicity, efficiency and clarity in expression. A sustainable community centre in Penrith, Sydney has been recognised for its sustainable building practices and innovative green design. 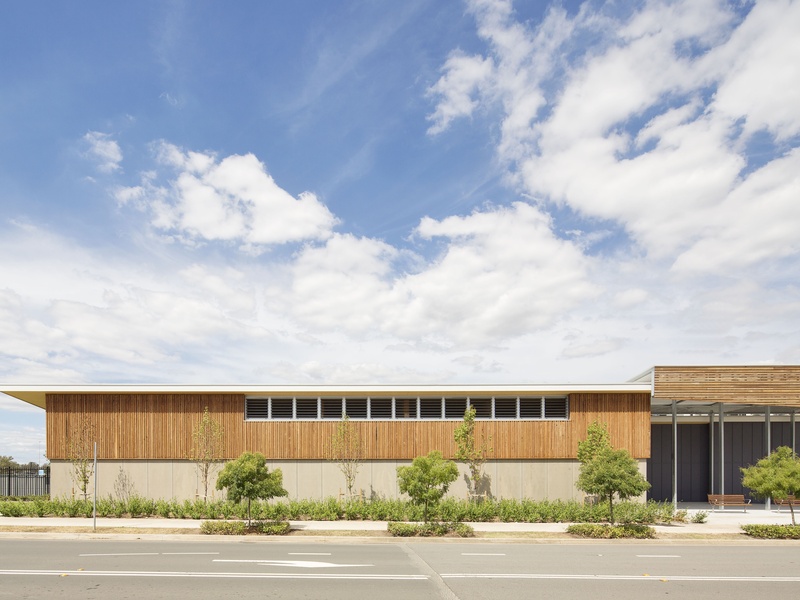 Equipped with a 20kW PV solar system, geothermal heating and cooling and water-efficient fittings, the Jordan Springs Community Hub recently won the Local Government NSW Excellence in the Environment Award. Built in partnership with Lendlease, the centre is the first in NSW to be built from cross-laminated timber. It also utilises a geothermal heating and cooling system that is expected to reduce carbon emissions by 50 percent, leading to a reduction of 37 tonnes of CO2 each year. According to the Penrith City Council, the heating system is so effective that the cost to install it will be paid off through savings in under 10 years. Leading loggers in Canada & USA have been quick to take up new mechanised harvesting machinery for forests on steep slopes. Now a new set of remote operation technologies is set to be unleashed. Labour and safety gains will result and productivity will follow. These new operating systems are already proven in mining operations. The early adopters will make the greatest gains in logging when they take advantage of this new technology. On the horizon are prototypes nearing commercial scale in automated yarder tree felling, remote and fully hydraulic controls to run more equipment more easily and with less people on the ground. Logging crews will be much smaller as a new generation of machine control technologies comes to market. 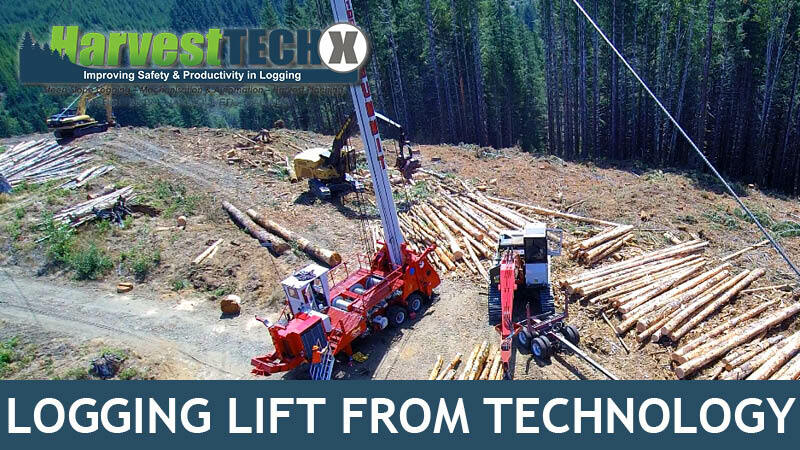 The ability to control machines remotely (both on and eventually off-site) will bring even more safety to logging. With no men out on the steep slopes where tree stems are being accumulated, they can’t be injured. …Last summer a huge amount of Central Interior forest that burnt were “managed” forests, those being younger conifer plantations that were established by the conventions of our present forest management regime. …But to get there, it has been deemed necessary to eliminate the natural early “pioneer” vegetation. …The Conifer-dominated forest type we are actively encouraging, is highly flammable, while the Broadleaf Aspen forest type we are actively eliminating, is incredibly fire resistant. That’s why its standard procedure for firefighters to tie their firebreaks into deciduous stands. …Allowing broadleaf to grow in our new forests won’t be the silver bullet stopping fires next year. But…If the best time to let more aspen and broadleaf grow was thirty five years ago, the next best time is now. Haida Gwaii’s population of northern goshawks are the last remnant of a highly distinct genetic cluster of the birds, a new study by University of B.C. researchers has found. Researchers estimate the population of birds may have been evolving separately on Haida Gwaii for 20,000 years — right around the last time the glaciers melted, causing the sea levels to rise and potentially separating the birds from their kin. While the birds can fly long distances … they don’t seem to like travelling over water, which could account for their long-term isolation, said study co-lead Armando Geraldes. 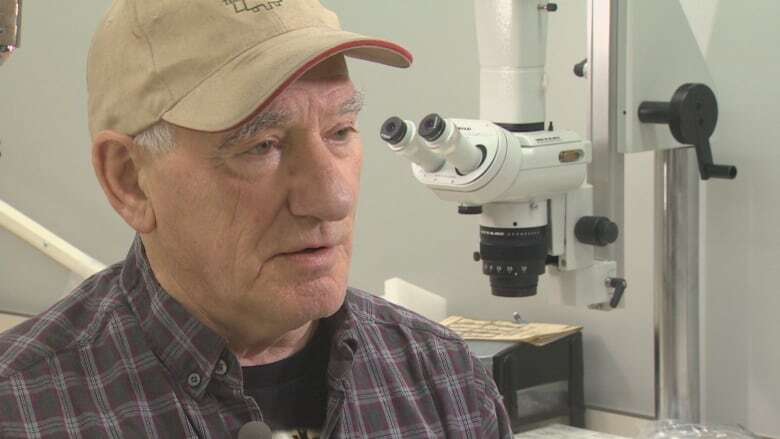 “There don’t seem to be strong geographic barriers anywhere on the continent but then you get that body of water — about 70 kilometres of water between Haida Gwaii and the mainland — and that is apparently enough to isolate that population,” he said. Only 50 of the raptors are left on the archipelago. 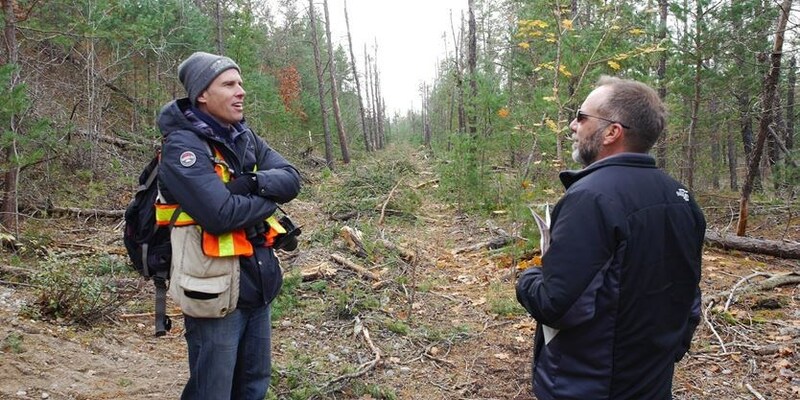 Simcoe County foresters are thinning a section of the Museum Tract to improve the health of the forest and promote regeneration. While Simcoe County is home to the largest municipal forest in the province, a hundred years ago, it was desolate wasteland. 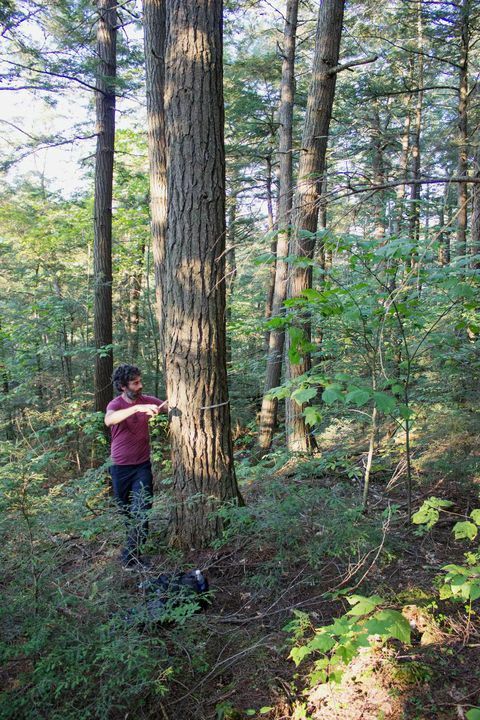 Since 1922, the county has worked to grow and maintain the forest to its current size of — 13,300 hectares and growing. “Much of that (forest) is plantation-based, formerly cleared for agricultural use,” Graeme Davis, a forester for the county, said. Over decades, trees planted have helped restore the soil quality and the quality of the growth. …But thinning also serves another purpose: It helps generate revenue that helps to grow the program. Peter Silk has spent years studying how to mitigate the damage caused by emerald ash borers, and now the Fredericton-based research scientist is headed to Europe to share his expertise about the “green menace.” As one of the world’s leading experts on the destructive beetle, he’s been invited to a meeting in Tallinn, Estonia, where an infestation of the borers is in its infancy. Silk knows all too well what comes next. The tiny but invasive emerald ash borer has devastated ash tree populations throughout the United States and five Canadian provinces, including New Brunswick. As its name suggests, the beetle bores into ash trees and disrupts the tree’s ability to feed, killing it. The insect arrived in North America after voyaging in wooden crates from China about 20 years ago. It’s now spreading through Europe. In 2018, our state faced the most wildfires on record. 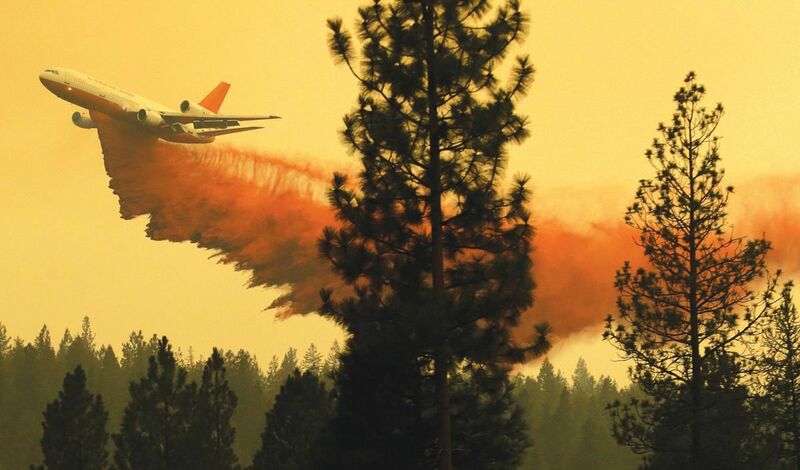 The agency I lead, the Department of Natural Resources, is Washington’s largest wildfire fighting force. Last year, we responded to more than 1,850 wildfires in Washington, starting in March and ending in November. …But, despite our best efforts, more than 440,000 acres still burned. That’s because the number of wildfires we face are growing. …And as fires increase west of the Cascades, our firefighters and equipment are stretched more thinly throughout the state. …And a changing climate, combined with unhealthy and diseased forests, means we don’t have fire seasons anymore — we have fire years. Despite the scale of this threat…DNR’s base firefighting budget has only increased by $2.5 million total over the past decade. …the regional help we used to receive … is not available. That means we have to set our state up for success and make sure we’re more resilient and self-reliant. I feel compelled to respond to the guest column concerning Forest Service harvests on the west side of Bend in the Dec. 12 edition by a representative from Oregon Wild. I agree that the term thinning is often misused and misunderstood. In the strict sense, thinning is done in only even-aged forests to remove weak trees and promote the growth and health of the remaining trees. It is not intended to promote regeneration of trees. On the west side of Bend, the Forest Service’s objectives are more complex than simple thinning and aim to create a forest of varying density with trees of different ages and sizes. This will promote resistance to wildfire, disease and insects. In my opinion, managing carbon sequestration is but one use of public forests and will depend on fostering forest productivity while considering the carbon storage in vegetation, soil and usable forest products. Galway forestry owners, timber contractors and hauliers will over €500 million per annum by 2035, according to a new timber trade association launched this week. With 950 people working in the timber and forestry industry in Galway, this projection will be music to the ears of some 1,460 forestry owners in County Galway. Forest Industries Ireland (FII), a new branch of IBEC, was launched on Monday last, representing almost all major forestry companies across the country, with representatives drawn from across the industry to include the largest timber processors as well as companies involved in the establishment and management of forests. Inaugural Chairman of the Organisation, Brian Murphy, said the industry had a major role to play in Ireland’s rural economy – even more so in the next 20 years where it is expected to double in size. Climate change has claimed its first major corporate victim. San Francisco-based power company PG&E Corp., one of the largest utilities in the U.S., filed for bankruptcy protection this week facing tens of billions of dollars in potential liability from massive California wildfires over the past two years. The company’s transmission lines are suspected of sparking as many as 1,500 forest fires. …Without the effects of climate change, it’s doubtful PG&E would be in this predicament. …Under a legal doctrine known as inverse condemnation, utilities in the state must cover insurance claims for damages from fires caused by their equipment – even if they haven’t broken any safety laws. The doctrine is in force in just two states – California and Alabama. …PG&E had long complained that inverse condemnation was making power companies the default fire insurer for the entire state. World leaders from government, business, and civil society will converge on the alpine town of Davos, Switzerland next week for the World Economic Forum’s Annual Meeting, where they’ll look for ways to cooperate on ending climate change. …the “Zero-Deforestation Supply Chain Movement,” which is a key component of the global effort to end climate change, and next week’s Annual Meeting could provide the impetus for moving into a new period of activity that ends deforestation and reverses climate change. First, some background: the supply chain movement… hundreds of companies pledged to reduce their impact on forests by changing the way they produce, procure, and process commodities. …While failing to end deforestation, the supply chain movement has catalyzed a restructuring of global supply chains for cattle, soy, palm oil and pulp & paper – the “big four” commodities responsible for most of the world’s deforestation. The Wildfire Mitigation Awards committee announced Jan. 17 the recipients of the 2019 Wildfire Mitigation Awards, the highest commendation given to individuals and organizations for their outstanding leadership and innovation in wildfire mitigation. The awards, established in 2014, are co-sponsored by the National Association of State Foresters, the International Association of Fire Chiefs, the National Fire Protection Association, and the USDA Forest Service. …”State forestry agencies know firsthand that it’s always wildfire season somewhere in the United States,” said Lisa Allen, NASF president and Missouri state forester. “The 2019 Wildfire Mitigation Awardees know this, too. Year-round, they contribute to wildfire mitigation efforts that ensure the safety of thousands of communities nationwide. We congratulate them for receiving this honor and thank them for their dedication to this critically important work.” …The 2019 Wildfire Mitigation Awards will be presented at the Wildland-Urban Interface Conference in Reno, Nevada on March 27.